As of 2012, Brooklyn, NY had a population of 2,556,000 people. That population has undoubtedly grown in the two years since. Suppose that of those 2,556,000, 1 out of every 5 is a musician. Suppose that out of those musicians, only 1 in 3 is competent enough to play in a band that anyone is likely to care about. That leaves us with 170,400 competent musicians in Brooklyn. Imagine that only 50% those musicians are involved with an active group, and that bands average around 3 members apiece. Assuming that none of these musicians are active in more than one band, that leaves us with almost 30,000 active bands based in Brooklyn. And that’s a fairly conservative estimate. Even if only 1 in 10 Brooklynites is a musician, you end up with roughly 15,000 bands here. And if it’s 1 in 50, you still end up with 3,000 bands, all other things constant. That’s still a lot. This sheer weight of numbers, more than cultural cachet or fashion, is responsible for the city’s remarkably fertile music scene. More people means more talented musicians means more good bands, even in unexpected places. Chain Gang Grave, for instance, have no obvious affiliation to the fashionable, much-maligned North Brooklyn music scene. (That’s Williamsburg, Greenpoint, and Bushwick, at least one of which you have likely heard of and mocked even if you don’t live here.) They hail instead from Mill Basin, a suburb-esque neighborhood in the city’s far southern reaches. (At least, that’s where one band member’s basement/recording studio is located.) They have ties to a band called And This Army, whom our founder Cosmo Lee wrote up many moons ago, but this demo is otherwise their first public work. The only known quantity attached to the project is James Plotkin, who mastered it. They haven’t played live yet. And yet When Your Friends Become Cops — an urban problem if ever there was one — is as compelling of a first recording as you could reasonably want. Like Gnaw, they’re probably more accurately described as “extreme music” or something of that nature than they are as heavy metal. The vocals take the form of a ragged punk holler delivered by someone who calls himself Young Al Bundy, and the drumming is loose and free of double-pedal clutter. Guitarist Andrew Lanza brings the heavy, though. He picks like a rock player rather than a metal guitarist, with more six-string strumming than one- and two-string palm-muting, but his chord progressions are often downright abusive. They slide up and down the fretboard like a bottleneck blues, typically only coming to rest on dissonant washes that remind me of former Gaza guitarist Michael Mason’s work. Lanza also feeds back all over the place, naturally. It’s a naturalistic sound born of an inorganic home. 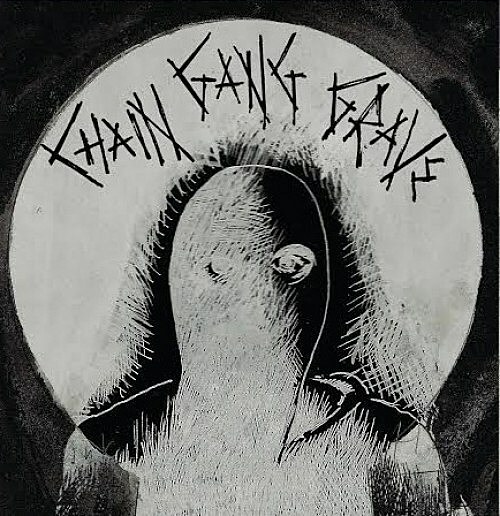 When Your Friends Become Cops is available for digital download via Chain Gang Grave’s Bandcamp.